Restaurant HOME has finally found a new home in Upper Changi North. To be exact, at 27 Cosford Road. The secluded location is also known as Johore Battery, where it still showcases the last artillery battery in the east of Singapore. The vast natural land area provides a unique background for Restaurant HOME to bring back the good old times like it was in the 19th century. Restaurant HOME is proudly owned and run by celebrity Chef Tan Yong Hua, who strive to bring simple home-cooked inspired dishes to his diners. The Previous review of Restaurant HOME can be found here. This time around, we are here to sample the offerings for Chinese New Year Menu. Our tasting is based on Prosperous Menu E, priced at $558+ for 8 person and $688+ for 10 person. Yu Sheng with Norwegian Salmon (遍地黄金 (三文鱼捞生)). Simple and uncomplicated Yu Sheng with refreshing ingredients. The shaved vegetables and pickled ingredients are crunchy and you get a nice kick from the pickled ginger. All of the ingredients are evenly coated with the combination of oil and sweet and sourness from the plum sauce. Not only you get Abundance of blessing this Yu Sheng will definitely wake up your appetite. Double-boiled Amidori Abalone with Chicken and Night Blooming Cereus soup (万事胜意（霸王花鲍鱼炖鸡汤)). Clear and robust double boiled soup. The chicken-based broth boiled together dragon fruit flower which has the detox and cooling effect on the body. Together with the abalone, the dragon fruit flower adds sweetness to the broth. Barbecued Duck with Lychee Wood (富甲天下 (炭烧荔枝木烤鸭)). 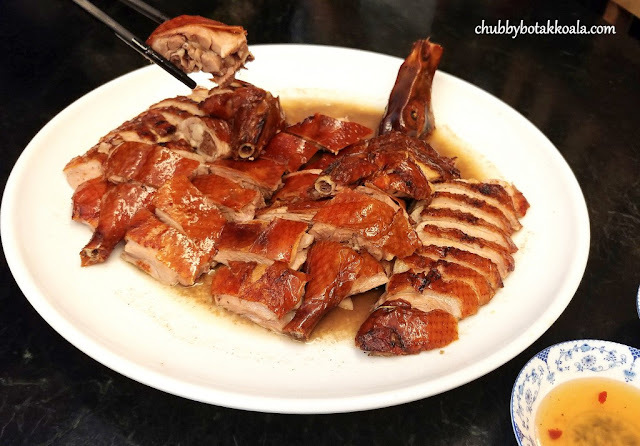 Instead of the popular Peking Duck, Restaurant HOME will serve the Barbecued duck during the CNY period. The duck is juicy and succulent, while you can still enjoy the crisp and crunchy duck skin. I like the duck here as it has a good fats content under the skin which also helps in keeping the moisture in the flesh during roasting. Yummy. 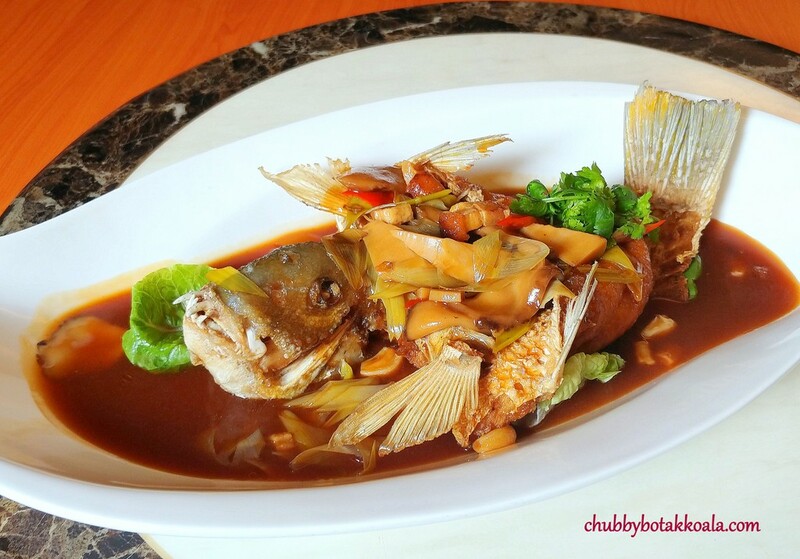 Braised Green Wrasse with Roast Pork, Leek and Flower Mushrooms 年年有余 ((红烧蒜子火腩扒海青衣)). The fish is steam just right. The flesh is firm and smooth, topped with the dark robust looking gravy infused with roast pork and flower mushrooms. Not to worry, instead of overpowering the natural flavour of the fish, the gravy enhanced its natural flavour nicely. Duet of Pork Ribs with Barbecued sauce and Stir-fried Kai Lan with Preserved Meat (心想事成(烧汁排骨 拼 腊肠炒芥兰)). The ribs have a right balance of meat and fats. It is crispy externally, while the meat is just succulent. The barbecued sauces added a nice zip of flavour to the ribs. Stir-Fried Kai lan with Lap Cheong is another an old school way to add flavour to the vegetables. The vegetables are fresh and crunchy, while most of us just like the tasty, meaty and delicious lap cheong. 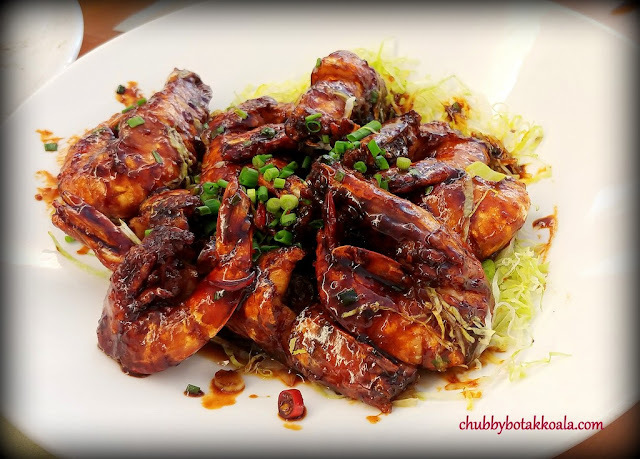 Pan-fried King Prawn with Superior Soy Sauce (喜哈大笑(干煎明蝦皇)). The King Prawns are fried first to create crispy skin and seal in all the juice. The salty, rich, buttery and umami sauce is just so delicious, you just want to lick it from the shell. The superior soy sauce really shone here and will definitely go nicely with a bowl of white rice. A “rice thief” dish indeed. 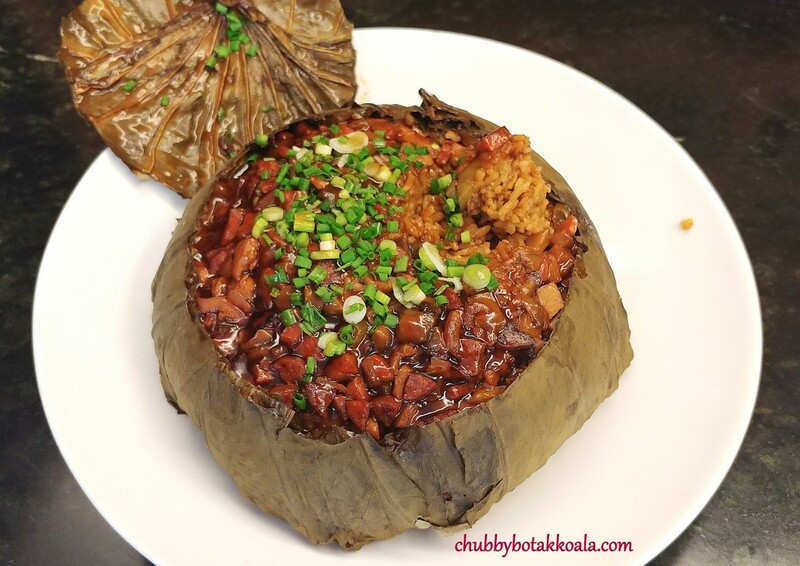 Fragrant Rice with Dried Scallop and Preserved Meat wrapped in Lotus Leaf (五谷丰收(瑶柱腊味荷叶饭)). The finale of the savoury dish. The rice is cooked in lotus leaf with dried scallops and lap cheong. The rice is moist and slightly on the softer side. It absorbs the aroma and flavour from the lap cheong and dried scallops. I will like it better if the rice has more bite to it (al-dente texture). Black Sesame Glutinous Rice Ball in Longan Red Dates Tea (阖家团圆(龙眼红枣雪耳芝麻汤圆)). This is the finale of the CNY Menu to give the patrons the sweet ending for their dining experience at Restaurant HOME. 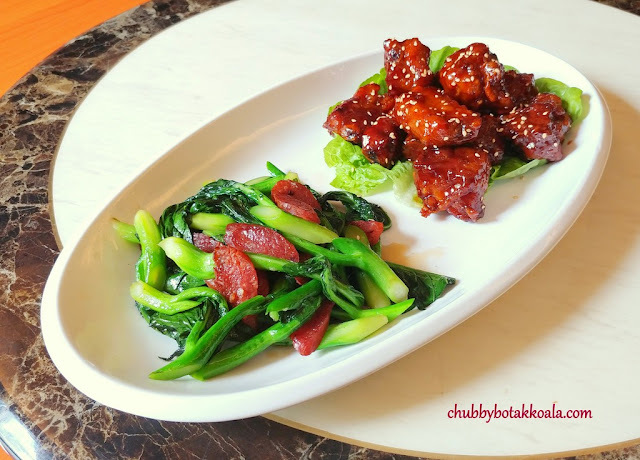 Overall, the Chinese New Year dishes in Restaurant HOME are the combination of Cantonese cuisine together with old school home-cooked inspired dishes. My personal pick is the double boiled soup, roast duck, pan-fried king prawns. Definitely, a place to consider for your Chinese New Year Celebration this year. There are 7 different Chinese New Year Menu to choose from. Thank you very much Restaurant HOME for the tasting invitation. Closed on Mon, except if it is a Public Holiday.